By now you should definitely have heard the name; in April of this year the statue of Millicent Fawcett was revealed in Parliament Square. On the anniversary of her birth, we reflect on what she achieved. Millicent Fawcett’s presence in Parliament Square is remarkable not only for being a new statue, but for being the first statue of a woman and the first statue designed by a woman to take a space in the square.The new statue of Fawcett finds itself surrounded by male political figures from around the world: Sir Winston Churchill, David Lloyd George, Jan Christian Smuts, Henry John Temple, Edward Stanley, Benjamin Disraeli, Sir Robert Peel, Nelson Mandela and Mahatma Ghandi. But who was Millicent Fawcett and what made her deserving of her place in Parliament Square? It is no surprise then that aged just 19, and therefore too young to sign it herself, Fawcett organised signatures for the first petition for women’s suffrage, thus beginning a long career in activism. In April 1867 Millicent married Henry Fawcett, a politician and professor of political economy at Cambridge, and a year later the couple welcomed their only child, Philippa. In the same year Fawcett joined the London Suffrage Committee. Sadly in 1884, after just 17 years of marriage, Henry died and Fawcett withdrew from public life until 1885. When she returned she began her political career in earnest, becoming President of the National Union of Women’s Suffrage Societies (the NUWSS) 1897. The NUWSS campaign was a peaceful one, including passive demonstrations and the lobbying of MPs and its membership consisted only of “law-abiding suffragists”, as opposed to the “militant” Women’s Social and Political Union lead by Emmeline Pankhurst. The campaign was instrumental in securing the first extension of voting rights for women in 1918, and after this success Fawcett stepped down as president of the NUWSS in 1919 to begin writing books, including a biography of Josephine Butler, a fellow campaigner for women’s suffrage and social reform who died in 1906. 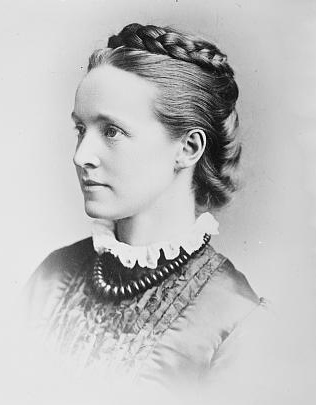 Millicent Fawcett died in 1929, a year after women were finally given universal suffrage. Her legacy continues on with The Fawcett Society, who are still continuing to campaign for a fairer, more equal society.